A Word a Week Challenge: Roof | Oh, the Places We See . . . If I’m there at sunrise, this is the view I get from that widow’s walk. 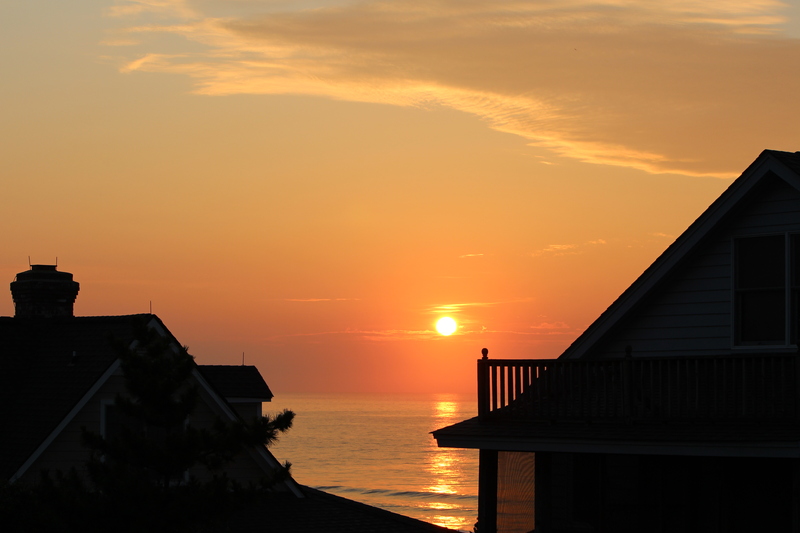 I look beyond two rooflines toward the ocean at daybreak to jumpstart my day. When I look back, I see another widow’s walk with an owl decoy standing proudly to guard his “estate” at Pawleys, the oldest seashore resort in America. 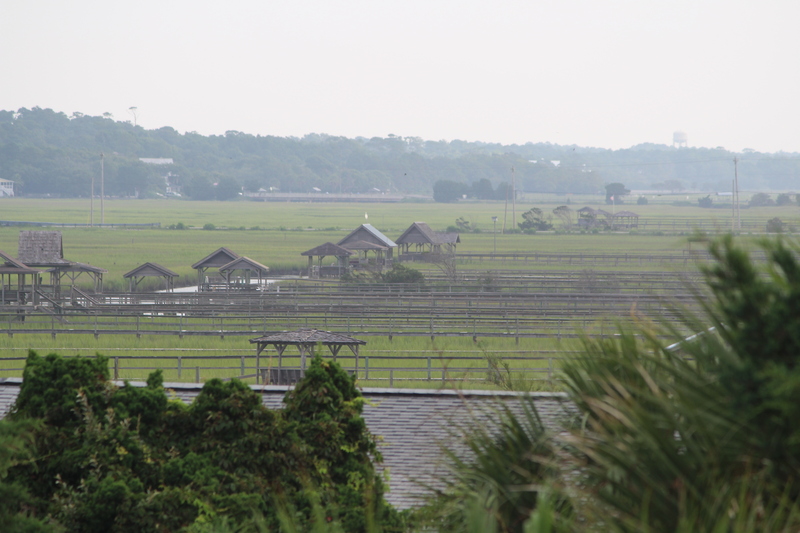 And if I direct my attention to the marsh, I look at the roofs of the porches on the docks stretching into the creek. This entry was posted in A Word a Week Challenge, South Carolina, Travel and tagged A Word a Week Challenge, Pawleys Island, roof, South Carolina, sunrise. Bookmark the permalink. 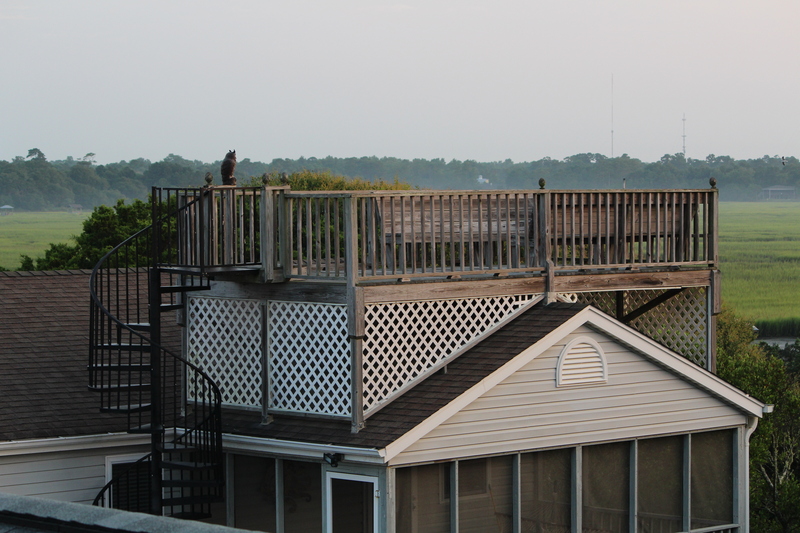 Love getting up in the morning during our beach week and either going up on this roof or heading out to the beach. Either way, sunrise is awesome! Thanks for reading and commenting! You are blessed to wake up each morning so close to the sea with the golden sunrise to greet you with a welcoming warmth and joy. Beautiful images. Thanks. You are right. We are very blessed. We travel when we can afford to — to see the world but also to do it before our good health runs out and we can’t anymore! I love the blogs like yours because they help me see what I can’t get to!